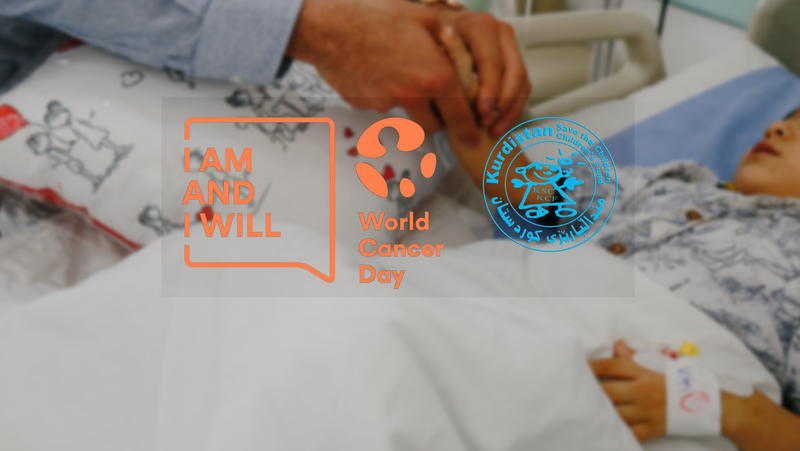 World Cancer Day is celebrated annually on the 4th of February to raise community’s awareness about cancer prevention and press all the interested parties to take action to reduce this disease and work for treating it in its early stages. 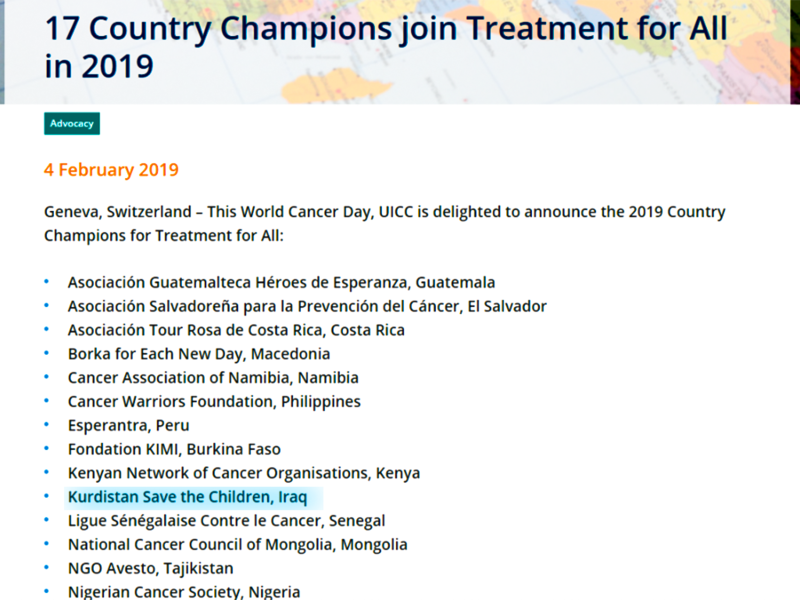 It’s worth mentioning that in 2018 Kurdistan Save the Children was announced as a member of UICC (Union for International Cancer Control) and CCI (Childhood Cancer International) for the activities that were performed from 2013 in Hiwa, Nanakaly hospital and Zhin Center, and to participate in the global fight against cancer. * Providing basic supportive and palliative care service for all.